My Lender Says We Need an Appraisal, Why? My lender says we need to pay for an appraisal upfront after our offer was accepted. What is an appraisal and why do I need it? An appraisal is much like the comparative market analysis that your real estate agent did when you were determining the market value of the home before you wrote the offer. However an appraisal is done by an Appraiser. The Appraiser will look at comparable homes within a certain distance, with the same features and square footage. They will make adjustments if there are no identical model matches. After you have an accepted offer and meet with the lender to complete the loan application they will more than likely request you to pay for the appraisal upfront. If you have negotiated for the seller to pay for the appraisal you will be reimbursed the appraisal fee through escrow from the seller at the closing. The Appraiser is a third disinterested party that the lender hires to determine the market value of the home to protect their interests. An appraisal is done on every home before a loan is granted to the borrower. If you are buying a home cash you don’t need an appraisal unless you want to pay for one. The Appraiser will go to the home to view the condition, take measurements and pictures. The Appraisers sole job is to determine the market value of the subject home. They do not use the executed offer to determine the value so the appraisal can sometimes either be below or above the sales price. Most of the time the appraisal is just fine and will come in at the sales price. If the appraisal comes in higher it doesn’t mean you will pay more you will pay only the agreed upon sales price. If the appraisal comes in lower than sales price you have a couple of options per our Nevada Offer to Purchase. You, the buyer, can pay the difference in cash if your lender will allow it. The seller may lower the price to meet the appraised value. The last option is that you, the buyer, walk away from the transaction and receive your earnest money back unless the executed contract says differently. There are three approaches to an appraisal. The Sales Comparison Approach – Usually used in a owner occupied buyer transaction. The Sales Approach compares a property’s characteristics with those of comparable properties that have recently sold in similar transactions. The Income Approach – Usually used when an Investor is purchasing a investment property. The Income approach also compares a property’s characteristics with those of comparable properties that have recently sold in similar transactions. 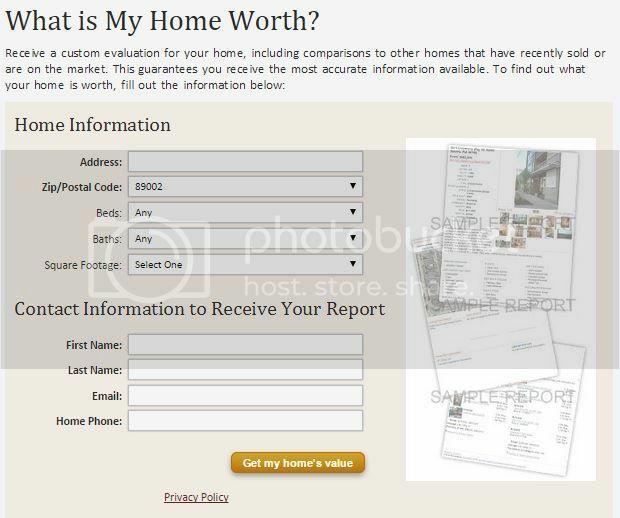 As stated previously Appraisers will make adjustment in values if there are no exact model matches. Some of the items that may be adjusted are; price per square foot, 2 car garage v. no garage or 3 car garage, pool or no pool, differences in lot sizes, covered patios, bathrooms, basements, security gates, full landscaping v. none, views. remodeling or any builders upgrades. The lender orders the appraisal and the appraisal will be delivered to the lender once it is complete. If there are no issues with the appraisal and the estimated value we will not hear anything other than the appraisal came in. If there is an issue the lender will contact the Buyer’s Agent to present the appraisal issues to be dealt with. Sometimes the issues aren’t even about value, sometimes they are repairs to be completed prior to the appraiser signing off on the value. Now what type of repairs will be addressed will more than likely depend upon what type of loan you are getting. While you are looking at homes your Gonzales Team real estate agent will be able to look out for items that might show up on the appraisal and deal with them prior to the appraisal.